The installation as a whole runs from December 6th through the 31st and is included in the cost of admission to the MCA. Tickets are on sale now for the December 21/22 shows, for $35 each. Below is a video from the Guggenheim performance; no telling whether or not the Chicago one will be at all similar. 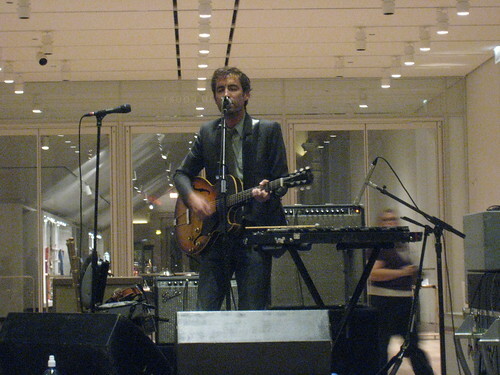 ANDREW BIRD AND IAN SCHNELLER AT THE GUGGENHEIM from JOHNSON CINEMATING AND OFF SET on Vimeo.